On the 28th and 29th of March, The European Association of Hospital Managers (EAHM) in collaboration with The Health Management Institute are hosting “eHealth – Transforming Healthcare in Disruptive Times” in the Royal College of Surgeons, Dublin. 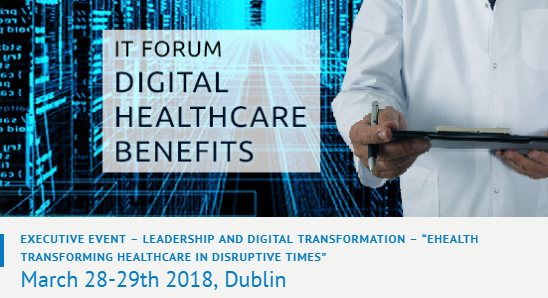 Swiftqueue team members will attend this event on both days and CEO Brendan Casey will present on Day 2 on the topic of “Delivering Digital Health Transformations”. 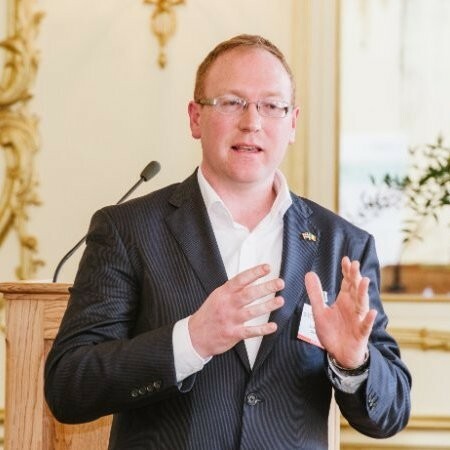 Brendan Casey is the CEO and co-founder of Swiftqueue Technologies Ltd. Brendan is passionate about the delivery of innovative solutions utilising leading-edge technologies and has played a pivotal role in bringing innovative healthcare solutions to market in Ireland, UK and USA. With over 20 years experience across a number of sectors, Brendan has gained a wide range of experience as a CEO, COO and CTO having a particular interest in the areas of Healthcare Innovation, Business Optimisation, Data Analytics and R&D. In addition, Brendan is a Member of the Steering Board of the Centre for Applied Research for Connected Health, ARCH. ARCH is a government funded (Enterprise Ireland/IDA) technology centre hosted by UCD. The Centre carries out state-funded applied research in connected health that has an industry focus. Brendan is also a Health Sector Advisor with TechIreland, is a not for profit whose mission is to become the definitive source of data and insights on Irish Innovation globally.